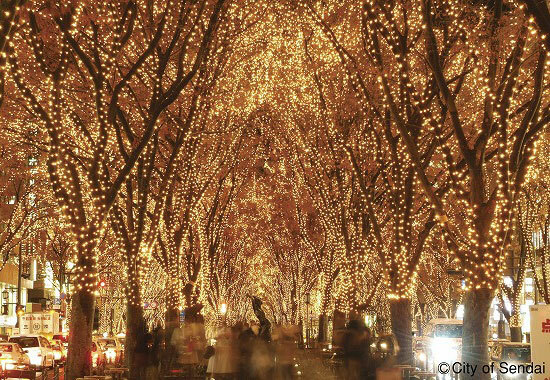 Hundreds of thousands of lights light up the Japanese zelkova trees lining Jozenji-dori Ave., Sendai-shi’s main street. The lights come on from 17:30. The lights are switched off for a moment and then turned on again for the so-called Starlight Wink, which is held three times a day at 18:00, 19:00 and 20:00.